In spite of all the controversies that preceded the Delhi Commonwealth Games, I must say that I enjoyed every moment during the last 11 days. Sometimes I even wondered where are the falling roofs? Where are the clogged toilets? What was on screen was pure sports, pure joy. Isn't it these sports moments which shape the pride of a nation - the stock index of happiness and pride moving up or down with every medal that is won or lost? And, all these controversies went completely into oblivion when India put a stellar performance at the Games. In India, we are raised to believe that there are only 2 games at which India can win - Cricket, and then Cricket (- add corruption and babies-making to it, might say some mockingly). So, one never expects an Indian to win in other games, more so in athletics. No way! No way, unless he or she is raised, bred or trained from childhood in US! But in 2010, India did win some medals (a spectacular 1-2-3 in women's discuss throw, and a gold medal in 4X400 relay - women's, and some more). In this context, I came across the story of the day - a story of a hero whose connection with India only a few might be knowing. 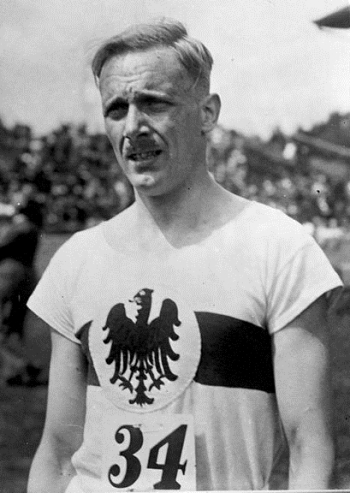 His name was Otto Peltzer - a German athlete who made tremendous impact on India athletics. J.S.Saini, the 83-year-old track and field guru who for two decades was India's chief national coach, called him the father figure of Indian athletics. Norris Pritam, who ran under Peltzer as a teenager, said no one had made as big an impact on Indian athletics as the man they knew simply as ''Doc'', and no one ever would. His story is a moving story, in the sense that he is a forgotten hero in India. Let's hope that his efforts will find recognition as India continues on the path of more sporting glory. Here is the Wikipedia entry for Otto Peltzer.